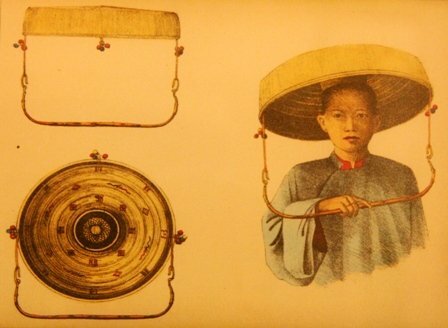 VietNamNet Bridge - Photographs of traditional Vietnamese costumes and jewelry worn in the early 20th century are on display at an exhibition in the former imperial capital of Hue. 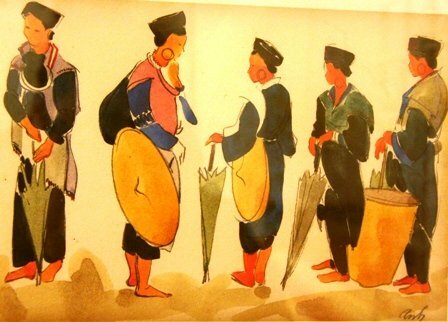 The 400 photos are not of the actual accessories themselves, but of paintings done of them by students of the Fine Arts School in what was then Gia Dinh - a stretch of land in southern Vietnam - between 1934 and 1937. 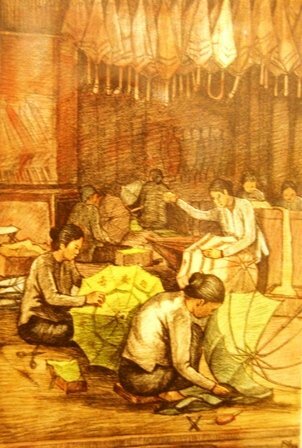 The pencil, water color, and printing block works, done using European techniques, were printed in a book titled Tap hop hinh hoa Dong duong (collection of Indochina drawings) that was published by the Paris-based Paul Geuthner Bookstore in 1930s. 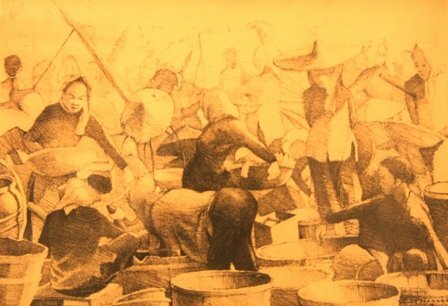 They portray people from around the country and even from Cambodia and Laos, and were done under the instruction of the renowned French painter Jules Gustave Besson, who was the school’s principal. 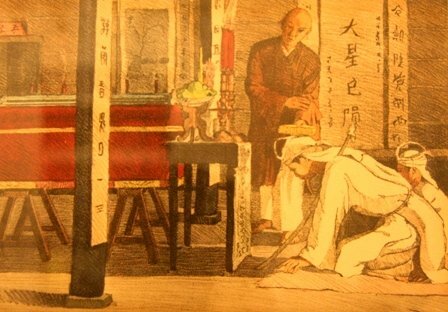 The four-week-long exhibition, held at L’Espace, 1 Le Hong Phong Street, by the Association of Friends of Hue of the Past, will run until March 4. 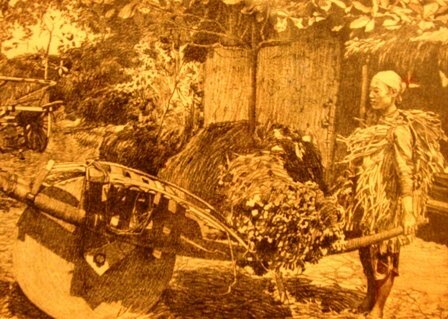 A farmer wears palm-leaf raincoat in northern Vietnam in 1934-1935. 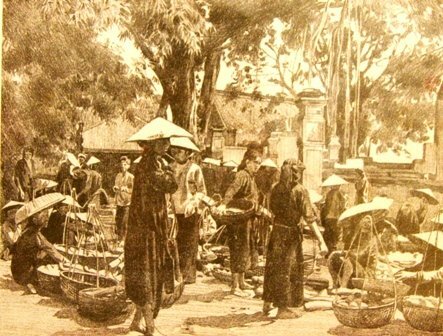 Dinh Ca market in Noi Duc village, northern Vietnam. 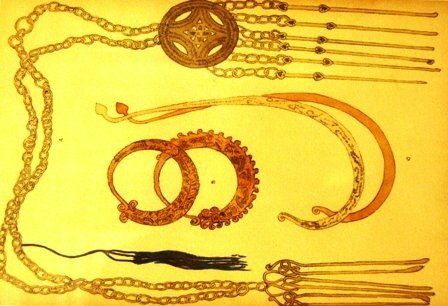 necklace of Lolo people and silver decorative items. A group of ethnic minority people at a mountain market in Sapa, the northern province of Lao Cai. On the left is a Meo woman. 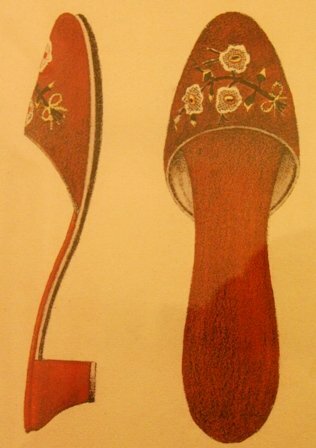 On the right are three Man Do or Man Rouge women. 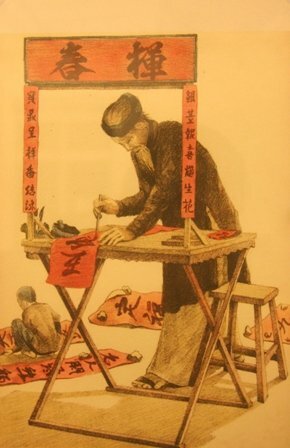 The costumes of Meo people, in northern Vietnam in 1934-1935. 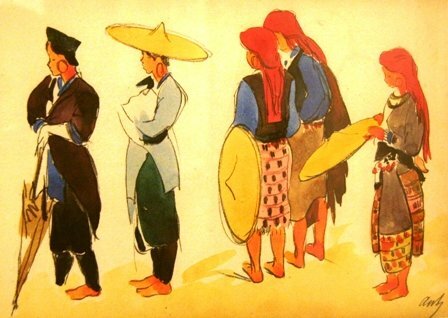 The costumes of Ede people in central Vietnam in 1934-1935. 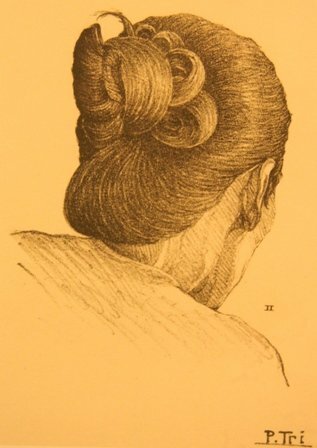 The hairstyle of women in southern Vietnam. 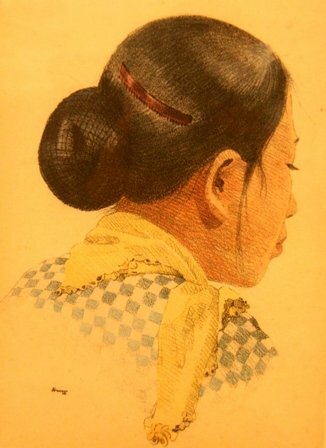 Old hairstyle of women in southern Vietnam. 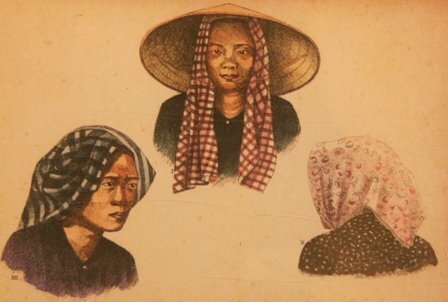 "Fashionable" hairstyle of women in southern Vietnam in 1935. 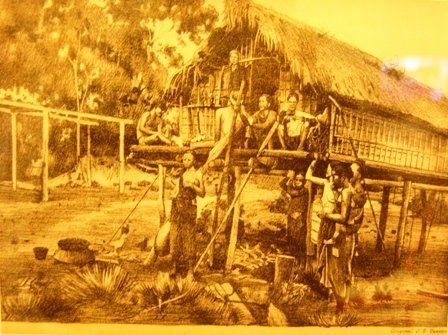 The hairstyle of farmers in southern Vietnam. 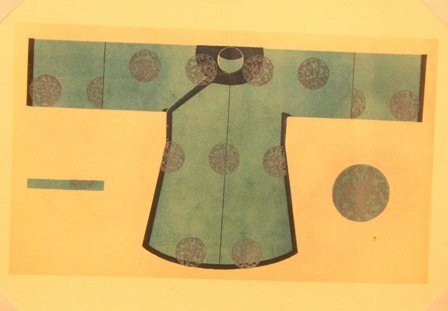 Ceremonial dress for men in southern Vietnam in 1934-1935. 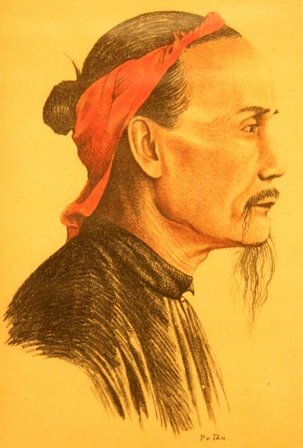 Hairstyle for wedding in southern Vietnam in 1934-1935. 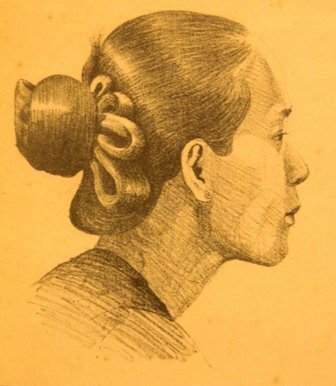 Hairstyle for women in southern Vietnam in 1934-1935. 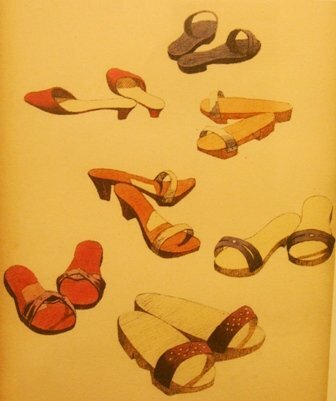 So-called fashionable sandals in southern Vietnam. 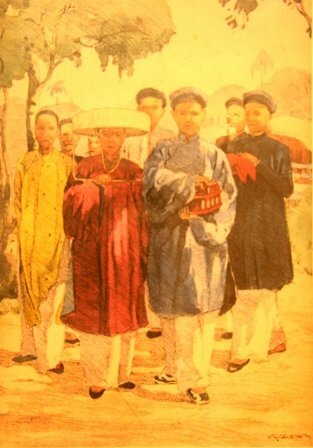 Wedding costumes in southern Vietnam. A funeral in southern Vietnam. 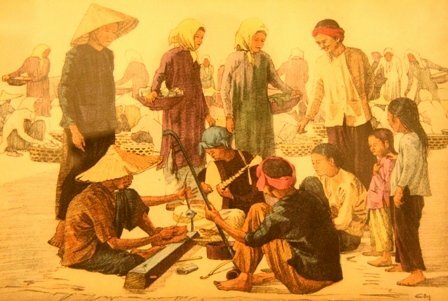 A fish market in Thu Duc, 1934-1935. An instrumentalist and the audience at a market. 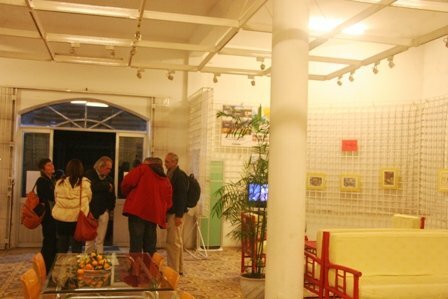 Many French are interested in the exhibition.